Multimodal transport is the movement of good from point A to point B using different modes of transport by a single transport operator. In a large and diverse country like India where end to end delivery is a humongous task, multimodal transport is an effective solution. For various companies, multimodal transport can mean different solutions depending on their portfolio of transport and storage options. In the 1960s, Indian Railways played a crucial role in promoting multimodal transport in India. In 1966, Indian Railways containerized goods to give birth to intermodal freight transport in India. Indian Railways then started moving cargo in specialized DSO containers. Standardized ISO containers began to be used from the 1970s and it was in 1981 when the first ISO container was moved inland by Railways to the country’s first ICD at Bengaluru (then Bangalore). In 1988, CONCOR was established as an offshoot of Indian Railways and took over the existing network of seven ICDs in the country. Since then, it now has a network of more than 70 ICDs while India has more than 300 ICDs providing multimodal transport infrastructure. The Multimodal Transport Act was passed by the Indian Parliament in 1993 to establish a standardized regime for the multimodal transport operators (MTOs). The Director General of Shipping was identified as the competent authority under this law. This Act paved the way for MTOs to register themselves with the authority and start their operations. This provided a boost to the inland movement of traffic under a single authority. IT has been a major enabler of multimodal transport in India and has been extensively used to automate the supply chain and documentation. For shipments coming into India, documentation starts at the ports, CFSs, ICDs and then final custom clearances before delivery. For shipments moving out of India, documentation starts from the storage point till the time it exits the port. To automate this process, Customs has introduced the Indian Customs EDI System (ICES) which provides a paperless seamless system to exchange/transact custom clearance related information using Electronic Data Interchange (EDI). ICES is currently operational at 134 major custom locations across India which handle more than 98% of India’s international trade of import and export. Multimodal transport was a monopoly on CONCOR till the early 2000s when licenses were given to private companies to operate their own freight trains. In order to encourage trade by MSMEs, Railways has started the “road-railer” system where contained vehicles can run both on roads and rail tracks. 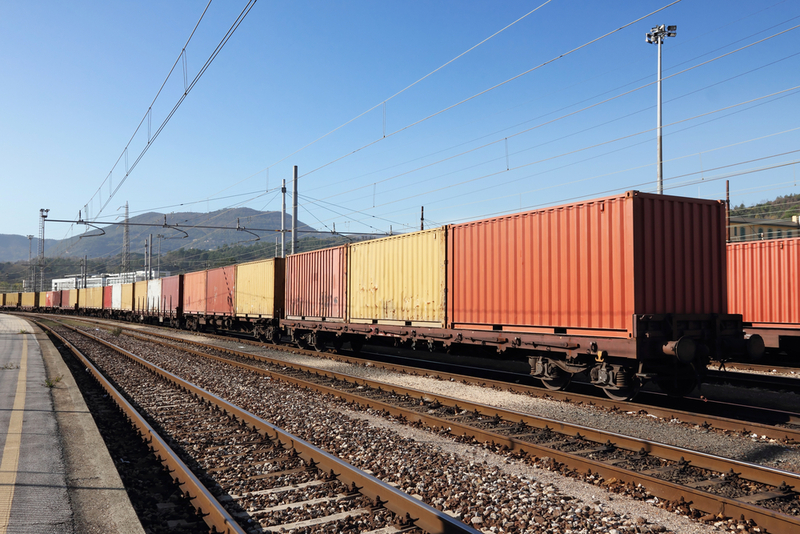 Currently, there are more than 15 Private Freight Train Operators (PFTOs) in India with major companies such as Hind Terminals, DP World, Adani Logistics, CWC all moving their own trains. Indian Railways has also allowed PFTOs to run their own Private Freight Terminals (PFTs), a move which can add approximately 20-25 mn tonnes of additional loading capacity and invite investments of more than $ 1 bn. Under this scheme, operators can lease rakes from Indian Railways to have their own rakes manufactured. Completion of the Dedicated Freight Corridors (DFCs) will also enhance the share of rail freight in the country from the current 30% to around 60-70% as in developed countries. In Varanasi, a freight village is being developed along the river to enhance the potential of Eastern DFC and to augment traffic capacity along the National Waterway 1. Inland waterways cargo movement has already started from NW-1 by PepsiCo, Dabur, Emami, IFFCO from Kolkata to Varanasi where a freight village is being developed to connect it to the eastern DFC. The world’s largest container company Maersk Line has also started the movement of goods on that route. True examples of Multimodal transport are being seen in Northeast where cargo is being transported to Guwahati through trucks, from where air cargo is being used to transport fresh produce to the Middle East and other countries. Cargo is also being transported through Kandla port in the west via western DFC, aggregated in Palwal and then distributed via road to U.P, Punjab and Haryana. Multimodal transport is an evolving solution in India with different modes of transport in their various stages of evolution. Roads are by far the most common, with railways catching up quickly. Air freight is expensive while inland waterways have just started. Port led cargo movement is inclined heavily towards the west coast due to the presence of natural harbours and economic weight of Maharashtra and Gujarat. For this growth to continue, more private investment in logistics infrastructure must be encouraged along with easier regulations which can ease the sentiment of some foreign companies.